One of the years most anticipated comedies is now here and features some of comedy's best actors within it. There was a lot of hype towards this film and in a summer that has disappointed so far, it could be a bright star in the summer movie season. However if the comedies so far this year- bar a few- are anything to go by, it could be atrocious. Thankfully, the first statement relates more to this film. A traumatic. high school experience leads Bob Stone (Dwayne 'The Rock' Johnson) to completely change his life by trading his weight for a fit and muscular build. He goes back into town for a high school reunion where he meets up with former perfect student Calvin Joyner (Kevin Hart) who has lately become fed up with his job as an accountant. That is about to change as Stone needs Joyner's help to help save secret plans belonging to the government. Together the pair will face death to come out on top against whoever stands in their way. One thing that most definitely has to be praised for this film is the trailer. The trailer did incredibly well at not giving too much away about the actual plot of the film. 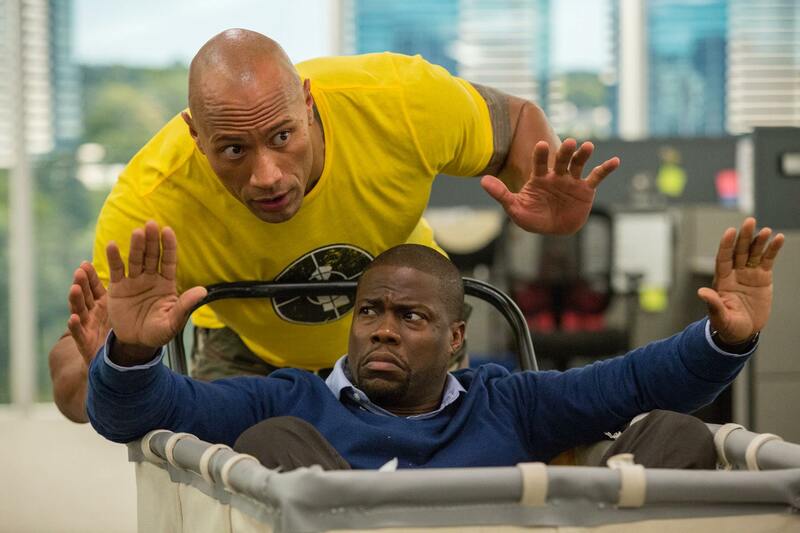 Showcasing The Rock and Kevin Hart as an unlikely duo was enough and they knew it meaning they didn't have to dive in too much which was so good to see. There are many people who appeared in this film- to humongous joy- that I had no idea were in it that worked very well. Great work from the marketing team. 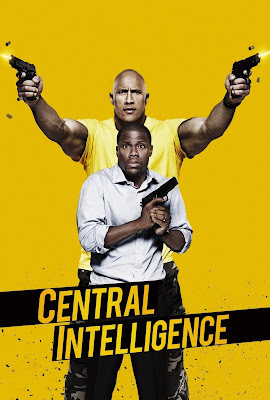 The film as you can see stars Kevin Hart and Dwayne Johnson and they both do a great job. Hart is the more serious of the two but delivers the comedy very well throughout the film. Hart plays a fed up accountant who wants the excitement from his high school glory days. Bouncing off him and as more of the comic relief is Dwayne Johnson's character Bob Stone who in reality is a massive kid only now a jacked adult. He is passionate about Ponies and fanny packs which lead to some highly entertaining moments. Although the two are really funny on their own, the duo have great chemistry in the film which makes the film even more enjoyable. You can clearly see that the two enjoyed making this movie and genuinely liked doing it as the comedy flows easily. I think that most people will want to see more of these two soon in the near future. There is no denying that the comedy within the film is great but I would say that the story does let the film down quite a bit. The story soon starts to be based on questioning Stone's character and whether or not he is what he says he is. However throughout this many things happen only to keep the mystery going when it could easily be resolved in a short discussion. This doesn't create a very strong story which does stop this from being a great action comedy. Despite the story not being great, the action is performed very well throughout the film. Obviously 'The Rock' is a natural when it comes to action and it is clear to see why he is one of the genres biggest stars as he pulls it off effortlessly. Kevin Hart also does well with the action but he's mainly reacting to all of the awesome things that are happening. What he does have to do actionwise as a clear rookie is done to ahigh standard which is very good to see. A very solid and one of the best comedies this year. However the story overall isn't great but Hart and Johnson's chemistry is phenomenal which creates an enjoyable viewing. So have you seen 'Central Intelligence'? If so what did you think of it? I hope this review was useful for if you were considering seeing the movie. Once again, thank you for reading my review, it is much appreciated!